Google has announced on Twitter that they pushed out a Panda refresh yesterday morning that impacted "fewer than 0.7% of queries." Most refreshes impact less than 1% of the search queries. So this is just a refresh, despite how much I'd love to name it 4.0. 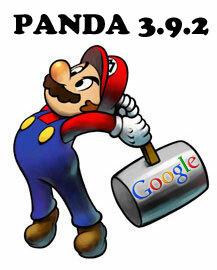 The previous Panda refresh was on August 20, 2012 and labeled 3.9.1. Danny Sullivan goes really deep into the past updates on Search Engine Land. So the Panda update we thought we saw last week, was not a Panda update, it was a diversification update. Although, in that update, many Panda victims did claim recovery. So who knows what Google was or was not testing.